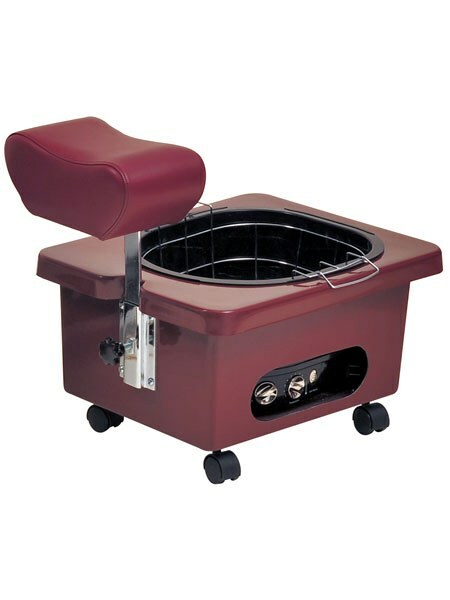 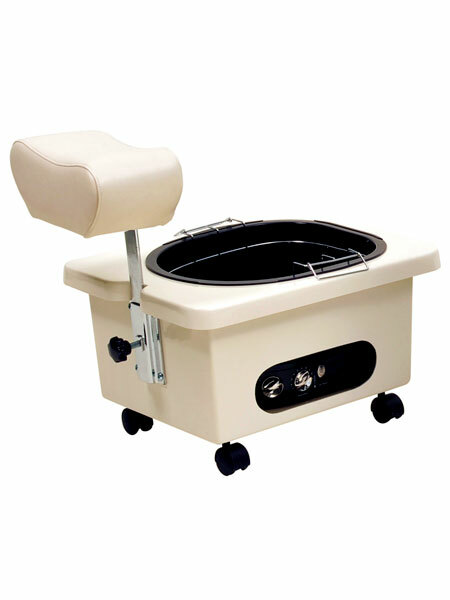 The Pibbs DG105 Portable Fiberglass Pedicure Spa is made in the USA and comes with your choice of vinyl upholstery footrest cushion color. 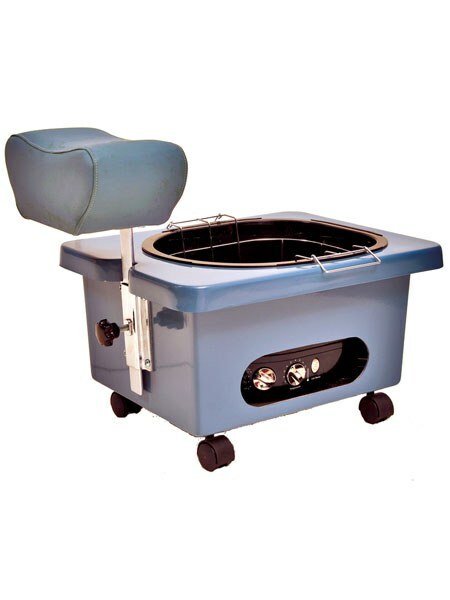 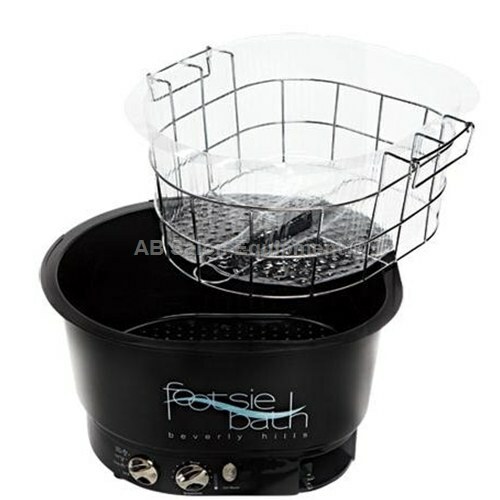 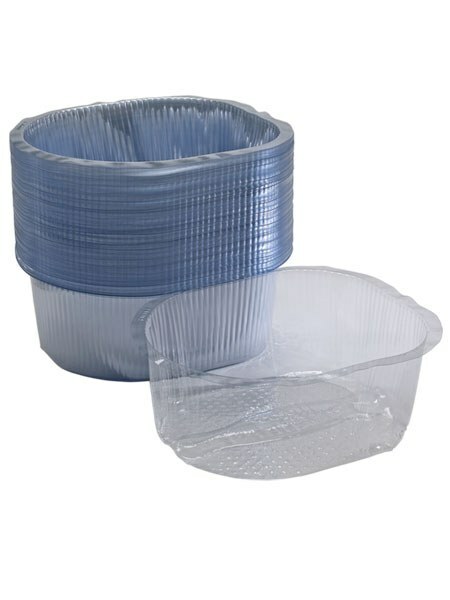 It is made of sturdy fiberglass, features the footsie bath tub, and is available in 6 different colors: black, emerald green, ivory, rusty brown, grey, or star blue. You can use the platform for your pedicure bowl or footbath. 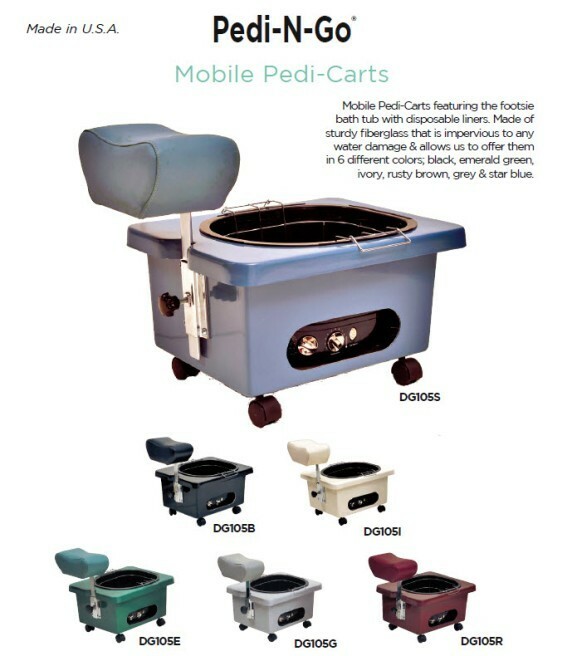 Choose one of our attached custom colors. This is an easy to clean surface with a 1 year warranty on the pedicure spa but please call for shipping times, normal delivery is 1 to 2 weeks.